New England’s forests, fisheries and cultural traditions are already experiencing significant disruptions from a changing climate and will face additional transformation over the coming decades, according to a federal report released Friday. 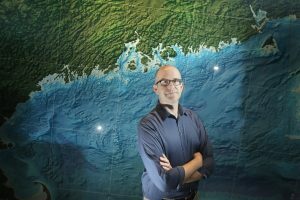 The Gulf of Maine Research Institute’s Andrew Pershing says the federal report aims to foster “clear-eyed” understanding. Andrew Pershing, chief scientific officer at the Gulf of Maine Research Institute and the lead author of the report’s “Oceans” section, said the document makes clear that steps must be taken to reduce climate-warming emissions in order to mitigate some of the most severe impacts. The report, Pershing said, is the scientific community’s attempt to ensure the American public and policymakers have a “clear-eyed” understanding of the facts to inform those decisions. “Except in one area of Alaska, everywhere in the U.S. is going to see a decline in the fishing catch, … and that is going to have a large impact on the state of Maine because fishing is such an important part of the economy,” Pershing said. 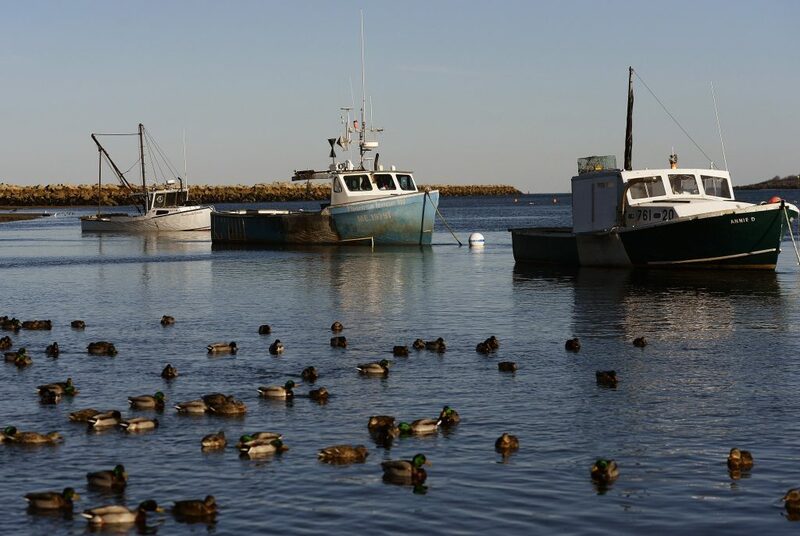 Over the next 10 to 30 years, Pershing said, Maine has the potential to maintain some of these valuable fisheries – such as lobster – with smart management and a focus on building resiliency to climate changes. But the future is fuzzier after, say, 2040 or 2050, especially if the more dire scenarios for climate change play out. The federal report’s dire warnings and definitive language contrasts sharply with the rhetoric coming from President Trump, who has repeatedly questioned the threat posed by climate change as well as the role that humans are playing. Pingree said policy committees are likely to dive into climate-related issues and work to stop some of the Trump administration’s attempts to undo environmental regulations adopted during the Obama administration. There is also growing talk about the need for a special congressional committee focused exclusively on climate change. “I think there is a lot we can do,” said Pingree, who serves on the House Appropriations Subcommittee on Interior and the Environment. “The committees have been very dormant in the Republican-controlled House, but I think they will be extremely active on this issue” under Democratic leadership. U.S. Sen. Angus King, I-Maine, also regarded the report as another call to action for Congress. U.S. Sen. Susan Collins, R-Maine, also expressed concern about the report’s conclusions. “We cannot ignore the impact of climate change on our public health, our environment, and our economy,” she said in a statement late Friday night, adding that the report echoed the findings of a nonpartisan GAO study that she and Sen. Maria Cantwell, D-Wash., requested last year. “In Maine, our economy is inextricably linked to the environment,” Collins continued. “We are experiencing a real change in the sea life, which has serious implications for the livelihoods of many people across our state, including those who work in our iconic lobster industry.